Holiday Magic in my house that brings me much Peace, Joy, Love and a Very Merry Christmas is my Reason for the Season! Holiday Magic . . . I love the theme this week . 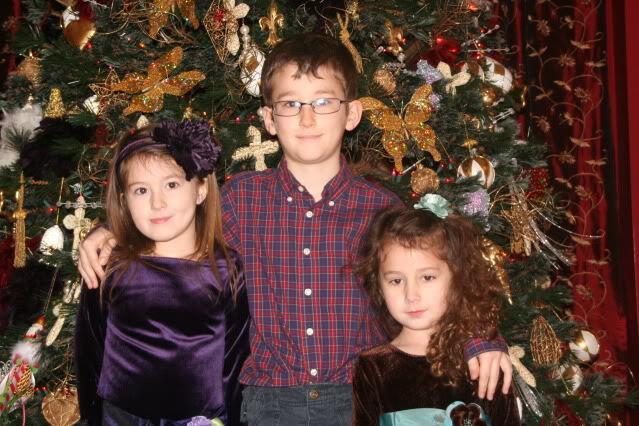 . . nothing is better than my attempt at an annual photo of my children in front of the Christmas tree. Nothing is more comical either! Last year I had many, many outtakes that make me laugh to this day. But this year, my daughter was having no part of being the least bit funny. In fact, she was in a rather fine "mood" and was having no part of smiling or being nice to anyone for that matter. 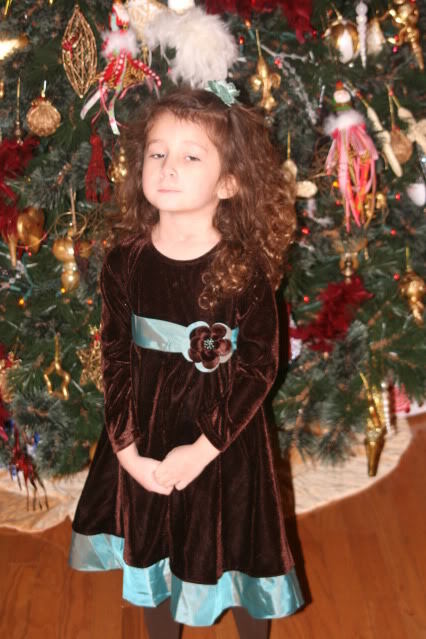 The first photo of her really tells anyone what her attitude is on any given day. Bless her heart, she makes me giggle just thinking abou her determination to do 'what she wants'. She wanted no part of taking a photo with her little sister and had just told her as much. The top portion is her in her fine mood and the bottom protion is poor little sister saddened by her sister's antics. These two photos make me roar out loud. The sourpuss face tells it all! Here is my son in the first photo looking at his sisters and literally four seconds prior to this he stated to me that he was the best behaved and was listening to me and doing exactly what I was asking. At the same time he was reminding me that dear, beloved little sister was not! I kept asking baby sister to smile and big sister decided she needed to "show" her how to! Hilarity I am telling you.